Our filters work on the principal of depth filtration. The Principal Media in these filters is quartz grade sand and anthracite. Other supporting media include pebbles of various sizes, crushed gravel and silex. The major advantage of this kind of filters is that anthracite which provides for coarse filtration is lighter than filtering sand. 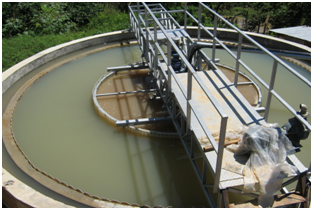 Due to which one stage of coarse filtration takes place on the anthracite bed and next stage takes place on the sand bed. Thus, depth filtration is achieved. 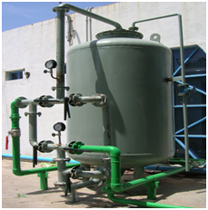 Since both media(viz sand and anthracite) are employed their capacities the dirt loading capacity of these filters is twice that of pressure sand filters. Hence these type of filters are more capable and gave high performance.